The Akvaterm Nero thermal store range was developed in response to increasingly strict environmental and energy efficiency standards. Superb insulation with seamless high quality polyurethane insulation material together with intelligent design solutions ensure the optimal efficiency in all applications. 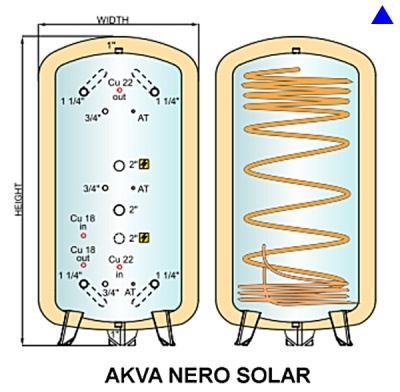 AKVA NERO SOLAR is designed to make the most of the free energy provided by the solar thermal panels. A long and powerful finned copper domestic hot water coil is fitted along the entire length of the thermal store. 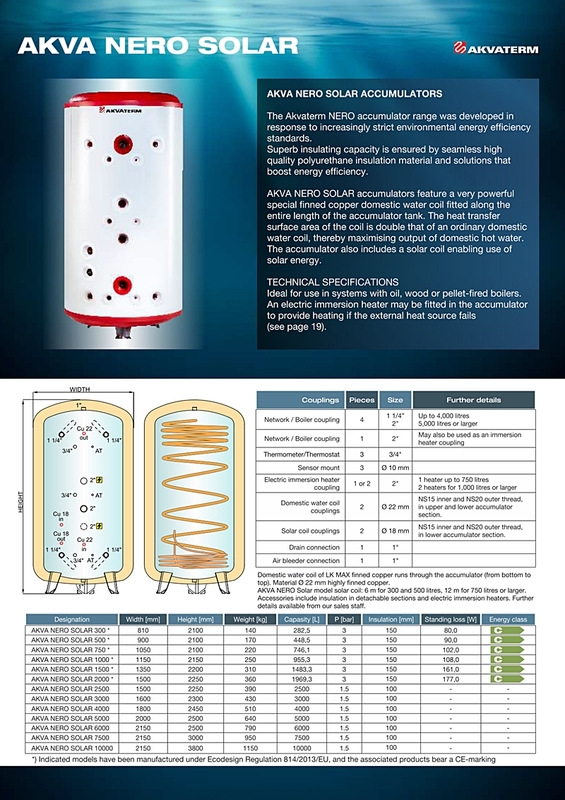 The heat transfer surface area is double that of an ordinary domestic hot water coil thereby maximising the output of domestic hot water. This thermal store also includes a solar coil for solar panel or other secondary heat source use. 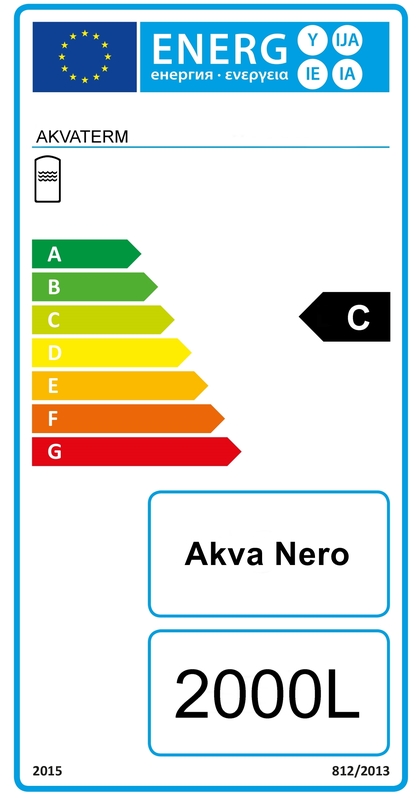 AKVA NERO SOLAR is ideal for use in systems with oil/gas, wood or pellet boilers and. 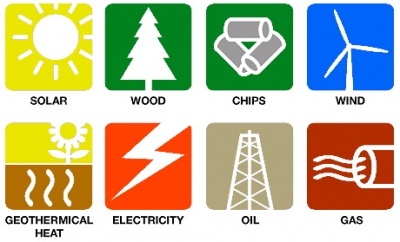 Electric immersion heaters can also be added to provide back up heat and boost when needed.